This kit gives the option of making a SSA Dia. 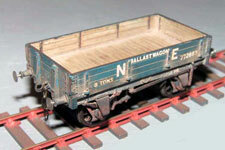 31b 8T Ballast Wagon. The kit does not include W-irons or wheels. 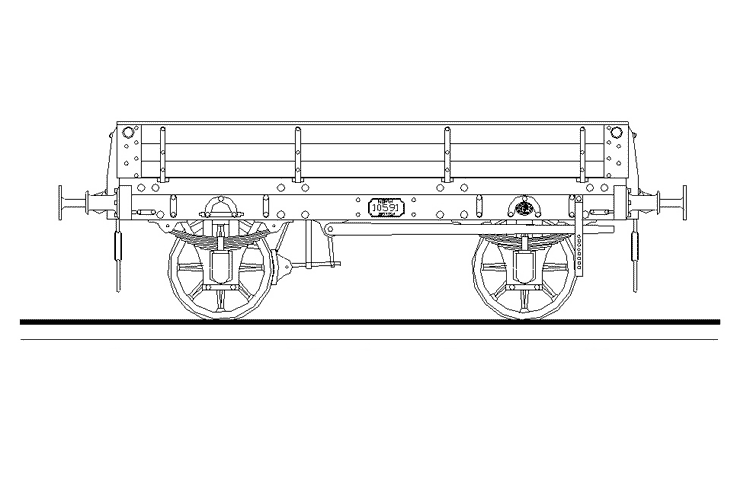 Introduced around 1872 to drawing 60W, this design of open goods wagon with full length drop sides was produced with several variants, namely the number of planks of 3 and 4 in height. 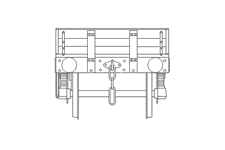 Originally built with one brake lever, a second was added after legislation in 1911 required a brake lever to be accessible on both sides of the wagon. With a long and useful life, many would have survived to the Second World War with a couple seeing the start of nationalisation. 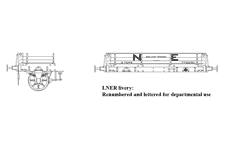 With a working life in excess of over 40 years, many were rebuilt with wider bodies of 8’0” (Kit 9102 N.B.R Diagram 81 S.S.A. 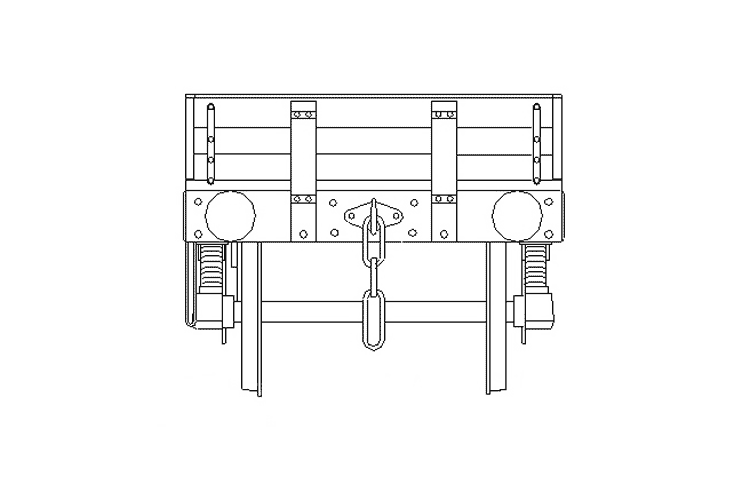 Diagram 13B) and upgraded to 10 Ton capacity. 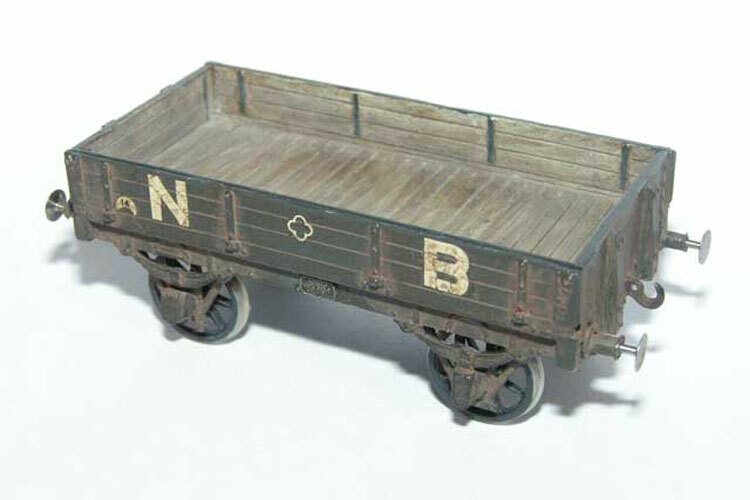 Unlike similar wagons with fixed sides, drop sides allowed for greater flexibility in the type of load handled and would have carried general merchandise varying from cotton, wool and esparto grass bales, finished goods, including crates and engineered products such as farm machinery. With covered vans being in the minority, tarpaulin wagon sheets were used to protect loads from damage by weather or engine sparks. 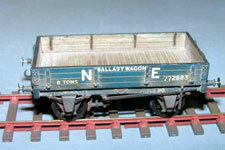 While associated with the industrial heartland of Central Scotland, these wagons would be widely travelled and seen throughout the country, especially Northern England. 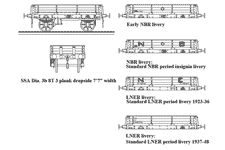 As similar drop side wagons had been built in considerable numbers by the pre-grouping railway companies, the LNER found it unnecessary to build any to its own standard design. 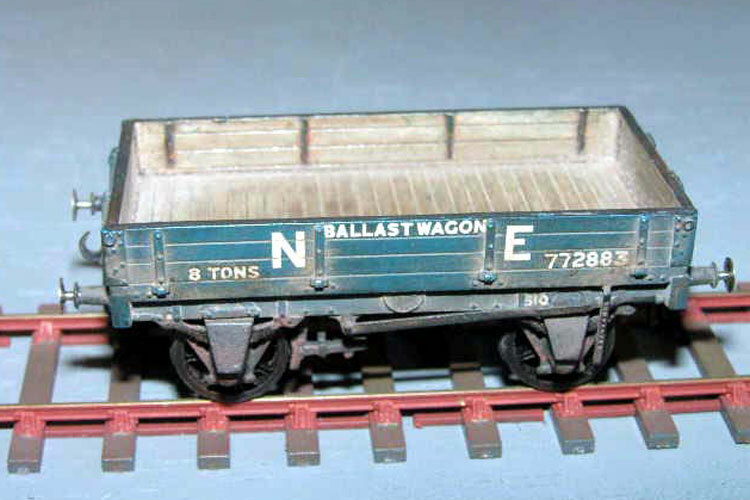 This kit is for the 8 Ton 3 plank drop side of 7’7” body width and has additional parts to allow for construction of the LNER conversion of four wagons into departmental ballast wagon S.S.A. 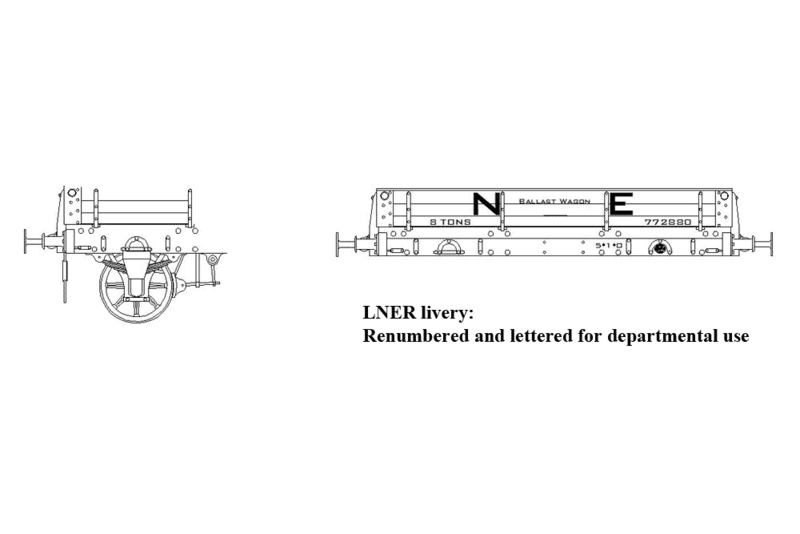 Diagram 31B. 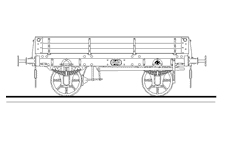 Please click on the images below to see larger drawings of the wagon. 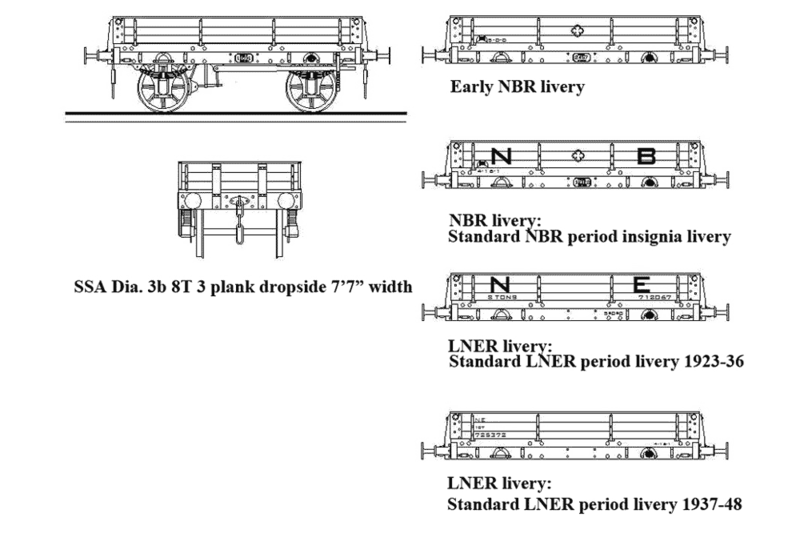 Please click on the images below to see livery details.